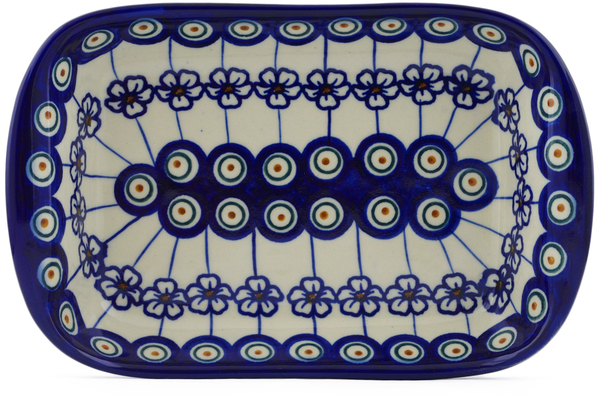 Dimensions: 8.8" x 5.6" x 1.8"
This Polish Pottery platter with handles (item number H0558F) is made by Cer-Maz factory in Boleslawiec, Poland. 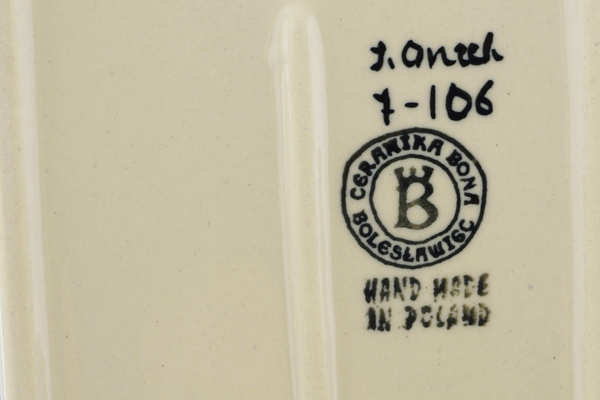 It is 1.8" high and measures 5.6" by 8.8". 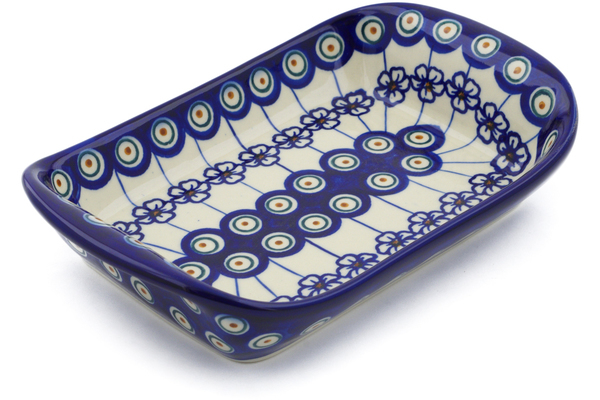 The weight of this platter with handles is 1.21 lbs. 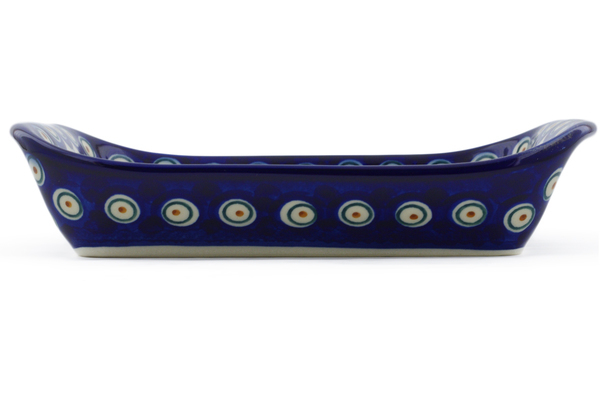 The price of this platter with handles is $51.97 and if your total is over $99 you will get FREE SHIPPING.